Curiosity the Nasa rover has completed its first close contact mission on Mars. The robot pushed its arms against a rock to find out which elements it was made from. This will give scientists an early chance to demonstrate the performance of the robots special technology, hand lens and Xray spectrometer. on Monday, Curiosity moved 42 metres, the furthest the robot has travelled since landing on Mars seven weeks ago. The overall mission is to try and find out whether there couild have ever been life on Mars. For your very own encounter with outer space book a Canal Boat Holiday from Union Wharf in Market Harborough and visit the National Space Centre in Leicester. Take an interactive journey through six stunning galleries, explore the Universe and experience space at the only visitor attraction solely dedicated to space. For an out of the world experience take a ride on Nemesis at Alton Towers this ride reaches Gforces greater than a space shuttle launch. 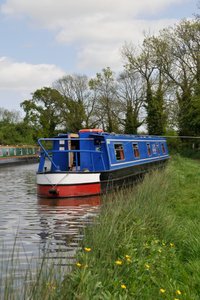 Cruise the Four Counties Ring on your Canal Boat Holiday and you will will pass close to Alton Towers in Staffordshire. From our marina at Anderton in Cheshire visit spaceport near Liverpool where you can take an inspirational journey through space. Transport yourself on a startling and beautiful voyage through the universe and view the galaxy and solar system in Oasis in Space.